The new interface is user-focused and it marries well with today’s emphasis on self-service analytics. With these front-end improvements came changes to how the back-end components of the Cognos Analytics architecture function. A gateway is no longer needed to run Cognos Analytics when SSO is not required. 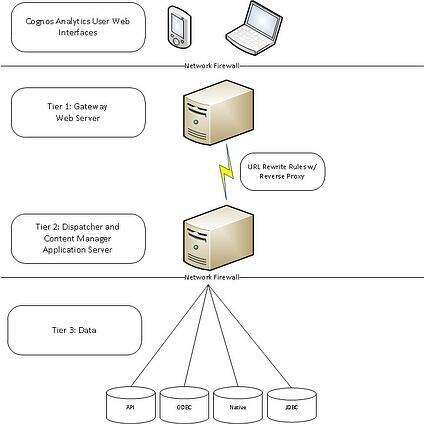 If SSO is required (as well as the other benefits a web server) then keep in mind that the gateway in Cognos Analytics is even more lightweight than its predecessor and now uses URL rewrite rules with a reverse proxy to funnel user interface requests back to the dispatcher for processing. These gateway changes would not have happened without changes to the dispatcher. The dispatcher is a servlet that does much of the heavy lifting for Cognos Analytics and it was previously run in Apache Tomcat. But now the dispatcher runs in WebSphere Liberty, functioning more like a web/app server combination seen in single server installs of Cognos 10. 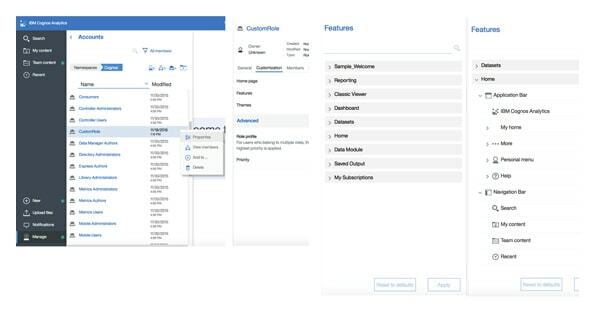 Unlike in prior versions, namely Cognos 10, the Cognos Analytics interface can be highly customized through the creation of themes and extensions, which drive the look and feel for everything from the Cognos login page, as well as the context-sensitive menu behavior that is pervasive throughout Cognos Analytics. These themes and extensions are assembled packages that are deployed from within the Cognos Analytics interface. The interface also includes context-sensitive menus, smart search capabilities (now without the need to run those pesky indexing jobs), true role level customization and intuitive navigation with a modern user-centric look-and-feel. Themes and extensions provide control over what the Cognos Analytics looks like and how it behaves, while role customization determines who can customize the themes and extensions work. Beyond the improvements to the interface and the accompanying changes to the architecture, there are logging changes that offer improvements to the day-to-day efforts of Cognos Analytics administrators. In prior versions, one of the biggest hassles for an administrator was logging because files needed to be edited and renamed, and services restarted, which meant time spent after hours getting things set up and the accompanying documentation. 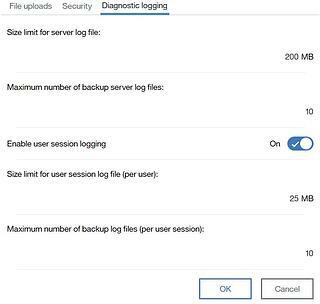 In Cognos Analytics, a new logging framework was introduced that is administered in the Cognos Analytics Manage UI. This means no more IPF files in the ./configuration directory or service restarts. Another important addition to the Cognos administrators toolkit is the new ability to view a report’s run-time performance using the Interactive Performance Assistant (IPA) feature. IBM markets this tool to developers, but administrators can glean valuable information from the tool just the same to determine what aspects of a report run slow and consume system resources. With the most recent release of Cognos Analytics, the integration with Planning Analytics became even tighter. 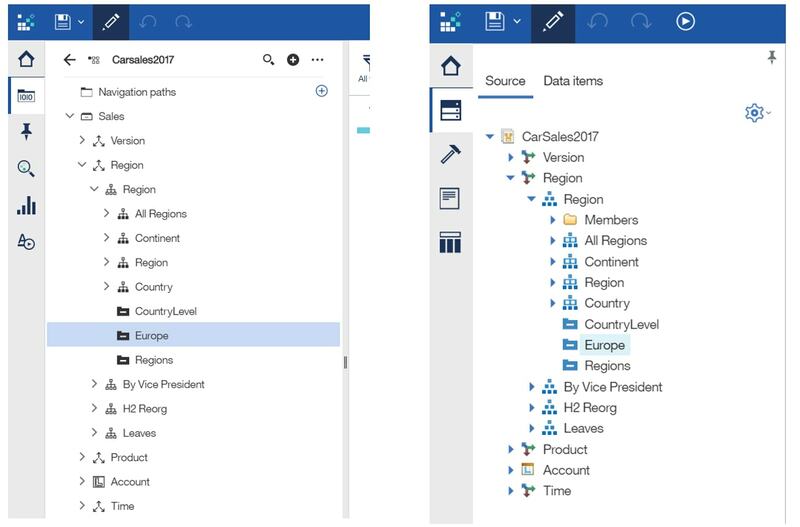 This tight integration means things like Planning Analytics subsets and attribute hierarchies can be accessed via Cognos Analytics with the use of the TM1 RestAPI to connect. This new API allows developers the full gamut of capabilities to create the analytics tools finance departments want without limitations or compromise. 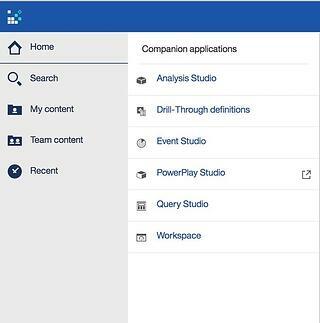 While there have been many new capabilities added to Cognos Analytics, the legacy tools like PowerPlay Studio, Event Studio, Query Studio, and Analysis Studio are still there. Also, PowerPlay even got an update to version 11 to allow for all your PowerPlay content to be editable within Cognos Analytics. QueBIT realizes that undertaking a full review of your Cognos environment can seem daunting to the most seasoned administrator. But you don’t have to go it alone! QueBIT is here to assist with all health check and migration needs you may have with our QueBIT’s Cognos Analytics upgrade services and contact us today!